Photo Credit: Ryan Chernikoff Mime Day Spenard, August 2017. Fiona Rose is a multi-disciplinary performance artist from Anchorage, Alaska. She performs regularly around town, most often as a musician, but also as a juggler, burlesque performer, emcee, auctioneer, actress, mime, extemporaneous songwriter, and in less definitive genres as well. 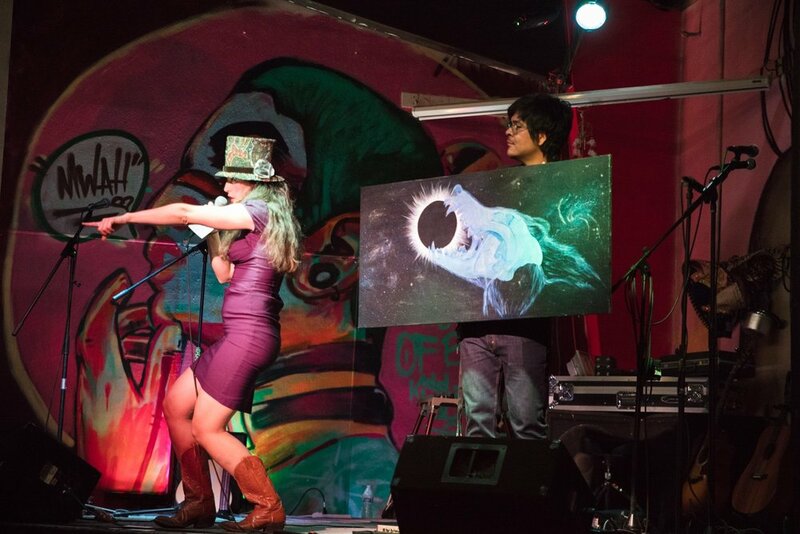 Her music and art draw audience members into the creation and performance of the story. You can find her at open mic most Sundays at Van's Dive Bar. Fiona was born in Anchorage, and grew up playing music, most notably flute. 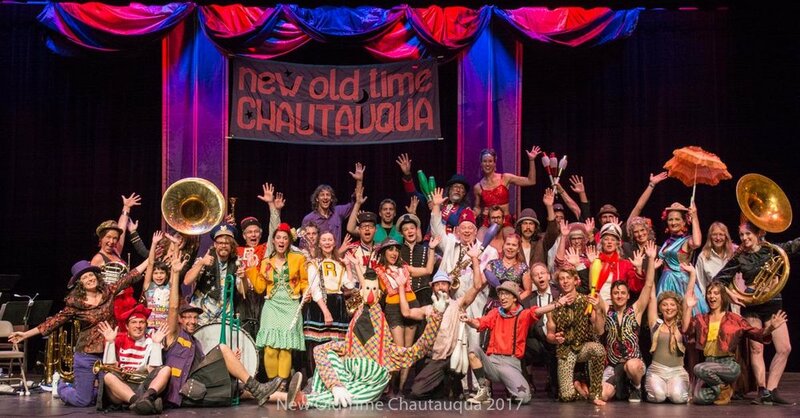 In 2011, she unexpectedly met up with a touring vaudeville production in Talkeetna, Alaska called the New Old Time Chautauqua. Within two hours, she found herself parading onto stage with the marching band; within two days, she had joined their caravan. Since "running away with the circus," she has continued to hone her art around Alaska and beyond. Fiona's whimsical original songs contrast innocent, sweet melodies with lyrics that speak to a cynicism with the human experience. Be prepared to shout, clap, and sing along to feats of multi-instrumentalism and juggling. Initially, this project took the form of a traditional confessional, with the artist in one booth and a visitor (the lone audience member) in the other. Visitors to the booth are invited to vent, rage, confide, enumerate details about a pet project - or whatever else needs to be talked about. In return, Fiona listens actively, asking questions, and then composes a song, singing the person their story so that they feel "heard." More recently, the Songbooth has taken other forms. For instance, visitors have been invited to write their ideas on a topic on a slip of paper for a large, combined piece (see "Videos") or speak into a microphone from a different part of the room. The Songbooth represents is art produced FOR the consumer - the artist alone could not and would not create it. Fiona organized a Southcentral Alaska Tour with the Dazzling Rosemarie Show, a 5-member variety troupe, in March 2018. 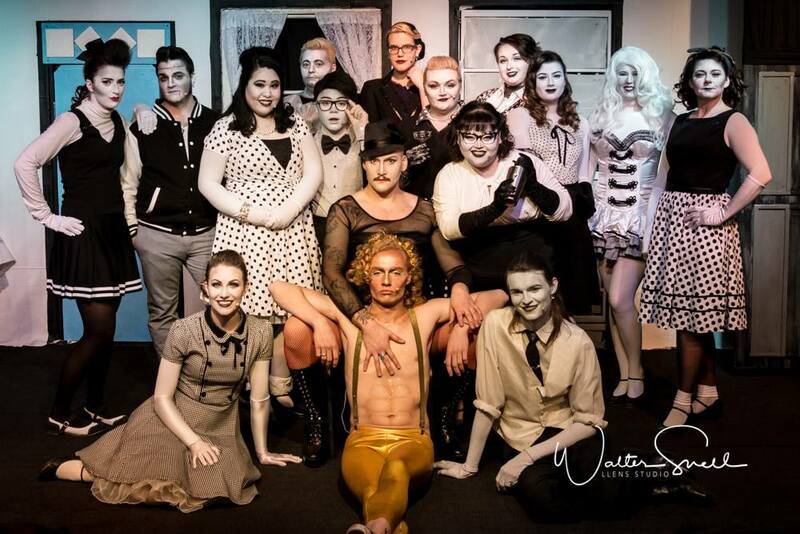 In November 2017, she appeared as Charlie Chaplin in a juggling burlesque performance for Pulse Dance Company's Gold Rush-themed burlesque show. She reprised the role in March 2018 at the Cabin Fever art installation hosted by the Anchorage Museum at Kincaid Park with a more family-oriented theme of finding warmth in the darkness. Since 2011, Fiona has traveled each summer with the NOTC, a non-profit educational variety show, playing flute in the marching band, juggling in the big juggle, scrubbing dishes, loading the Uhaul, talking and talking to plan and plan, performing in the show, and teaching ukulele workshops. My first love! 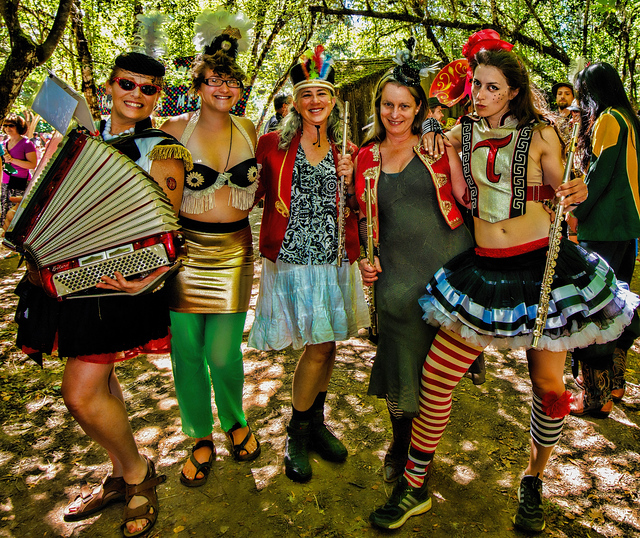 I play flute in the Fighting Instruments of Karma Marching Chamber Band / Orchestra at Oregon Country Fair, with friends and accompanying bands at Slowgrass Revival at the Writer's Block, in flute choirs, in jam sessions, and in wherever else I can! In March of 2017, Fiona participated in a multimedia performance project involving soundscapes, interactions with projected images, and body movement. New skills unlocked: alternating between maniacal laughing and crying for five minutes; limping in drywall stilts. In October and November of 2016, Fiona played the roll of Columbia in Mad Myrna's rendition of The Rocky Horror Show. She has also performed in Serial Bowl productions in 2017 (local one-acts) with The Midnight Sun Theatre. Fiona currently emcees Spenaudeville - Spenard’s monthly all-ages variety show. She has also emceed open mics and served as auctioneerat ACW's annual art auction in Fall of 2017. For booking inquiries, letters of praise, hate mail, love notes, spam mail, or anything else, please use the form below!